I received my degree in English from Virginia Commonwealth University in Richmond, and Virginia is still home. Apart from my yearly pilgrimage to Moogfest and occasional shows in DC, Detroit, and New York, I like to stick to the fringes, with an eye always open toward music that is forward-thinking and unique, whatever the genre. 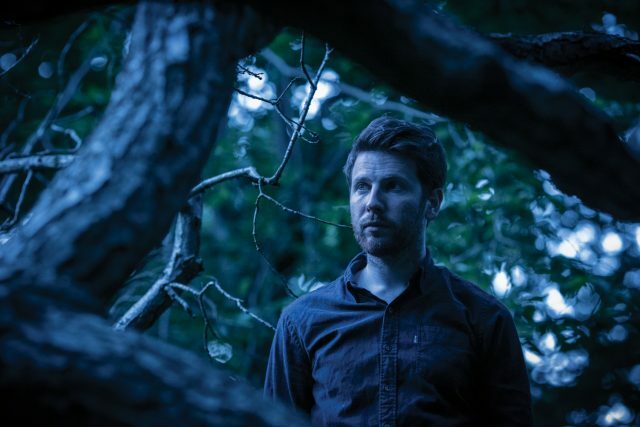 Ryan Lee West has always called Erased Tapes home when it comes to his releases as Rival Consoles. On a roster that's fairly focused .. Kid Moxie is a nocturnal predator in her video for "Dirty Air"
Elena Charbila is a double-edged sword, singing and producing as Kid Moxie while she's also rising quickly in the acting world. Her music ..
Montreal is constantly churning out great bands, there must be something in the water up there. One of the best in recent memory is Paupière, ..
Loci Records has a very distinct aesthetic, one based on a marriage of downtempo rhythms and diverse instrumentation. Every few months they ..
Gold Panda shares new visuals for "Chiba Nights"
There's something about Gold Panda's music that captures the spirit of group human activity. Whether it's a city's frenetic morning ..
Last year, Brooklyn-based singer Wolkoff teamed up with Chicago production duo The Hood Internet on "Going Back," a summery slice of electronic ..
New Zealand's Montell2099 pretty much grew up in a paradise. Born and raised in the tiny town of Katikati, he had a laid-back environment ..
Swedish / Barbadian singer-songwriter Naomi Pilgrim recently released "Sink Like a Stone," the title track and lead single from her forthcoming ..
Jessy Lanza's long-awaited follow up to Pull My Hair Back is out May 13 on Hyperdub, and it's available to listen to in full. Titled Oh ..
A 'bolide' is a large meteor that explodes in the atmosphere. It's a good name for for Melbourne-based duo Kllo's first major single, ..